Hide this Project (Raj Exotica) Discover properties in other projects by hiding the ones that doesn't interest you. You won't see them in your searches further but you can unhide anytime later. Hide this Dealer (Aristo Estate)Discover properties by other dealers by hiding those whom you have already spoken to. You won't see them in your searches further but you can unhide anytime later. Hide this Dealer (Desire Homes)Discover properties by other dealers by hiding those whom you have already spoken to. You won't see them in your searches further but you can unhide anytime later. Hide this Dealer (Aarish Associates)Discover properties by other dealers by hiding those whom you have already spoken to. You won't see them in your searches further but you can unhide anytime later. Hide this Dealer (Rising Realty)Discover properties by other dealers by hiding those whom you have already spoken to. You won't see them in your searches further but you can unhide anytime later. Hide this Dealer (Rajesh Bhuvad & Associates)Discover properties by other dealers by hiding those whom you have already spoken to. You won't see them in your searches further but you can unhide anytime later. Hide this Dealer (Bright Homes)Discover properties by other dealers by hiding those whom you have already spoken to. You won't see them in your searches further but you can unhide anytime later. Hide this Dealer (India Housing)Discover properties by other dealers by hiding those whom you have already spoken to. You won't see them in your searches further but you can unhide anytime later. Hide this Dealer (Himanshu Chauhan) Discover properties by other dealers by hiding those whom you have already spoken to. You won't see them in your searches further but you can unhide anytime later. Raj Exotica is one of the residential development of Raj Realty Group, located at Mumbai. 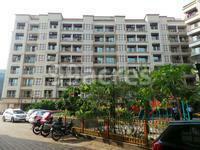 It offers spacious and skillfully designed 1BHK, 2BHK and 3BHK apartments. The project is well equipped with all the amenities to facilitate the needs of the residents. What is the project location?The project is located at Kashimira, Mira Road And Beyond. What is the area of apartments in Raj Exotica? 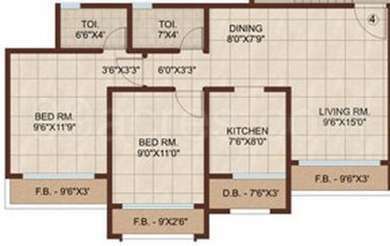 The area of apartments offered in the project ranges from 625.0 sqft to 1200.0 sqft. 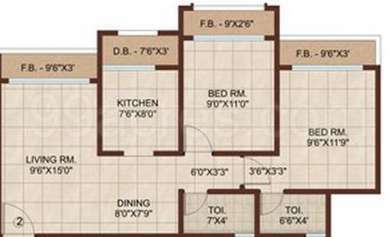 What is the area of 1 bhk in Raj Exotica? 1 BHK units in the project are available in a size of 625.0 sqft to 660.0 sqft. How much is area of 2bhk in Raj Exotica? Two-room units (2BHK) in the project are available in an area of 915.0 sqft to 995.0 sqft. What is the area of 3 bhk in Raj Exotica? Three-room units (3BHK) in the project are available in an area of 1200.0 sqft. How much is price of 1bhk in Raj Exotica? The project offers 1 BHK units within Rs. 5100000 to Rs. 5600000.
at drives the company towards achieving greater goals year after year. To facilitate development of its residential constructions, Raj Realty employs the most advanced techniques and technology. Not only this results in projects which are far more superior in design and sustainability, but also provides an extra edge over the veteran real estate players of the region who still follow traditional methods.